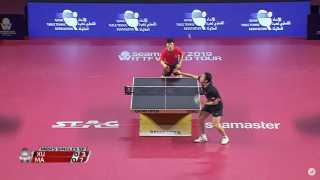 Ask ITTF President Thomas Weikert a question! Oh. Well, I feel a bit silly now. Many apologies! At least we can all see how overly sensitive I am now. 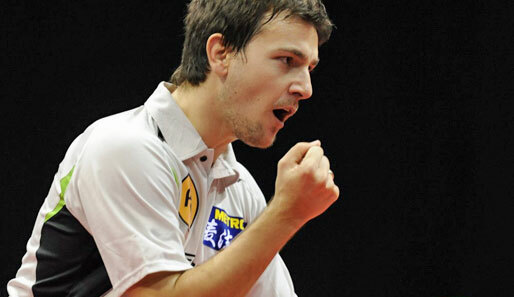 German superstar Timo Boll is on go ahead to play in the Chinese Super League 2011 this year. Boll will be joining the Hangzhou Nirui Table Tennis Club. Along side him will be Ma Lin and Hao Shuai of China. It is said Timo Boll will be playing 6 league game matches however some reports have said he will be playing most of the games. The salary is said to be 1 million yuan which is the equivilent to $150,000 for the expected 3 months of play. When Boll use to play in the Chinese Super League back in 2006 he reported hyperthermia a number of times. The venues were not air conditioned, however the new venues in the league of 2011 will be air conditioned for the star. Please hit the share button at the top of the article to share to your facebook guys and spread the word on Timo Bolls ventures to China! I hope this prepares him also. I really hope he can achieve a Olympic Gold Medal. His game is taking a heavy beating this recent tournaments.. he needs to re-invent himself asap !! topplayers. maybe he have to change the style of his game. wheredo you get this information? who else will play in timo bolls new team in china? gonna be great to see a European tearing it up in super league! 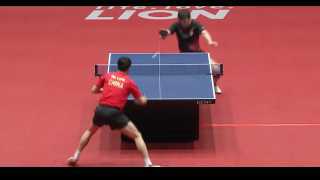 Timo Boll hits swap hand passing shot against Ma Long!